Some years ago I was enjoying a dinner party in New York when our host raised a glass to ‘the Red, White and Blue’. Bewildered I raised my glass with the words ‘bleu, blanc, rouge’ echoing in my mind. At a pause in the conversation I asked who or what we were drinking to. ‘The Stars and Stripes,’ and everyone seemed to be looking at me in surprise. Ah, if we had drunk a toast to the Stars and Stripes I would have understood immediately, but the mention of colours in flags only led me to at least two others with those same three colours – the French flag or the ‘bleu, blanc, rouge’ (in the opposite order from the ‘red, white and blue’ but with white in the middle holding the red and blue together) and the Union Jack. It seems that the term ‘Union Jack’ is accepted as interchangeable with the ‘Union Flag’, though originally the Union Jack was the flag raised on the jack staff of ships to identify them in naval battles, like coats of arms in earlier times for land ones. At school we were taught that the red cross on the white background was for ‘England and Saint George,’ as Henry V cried in Shakespeare’s version of the Battle of Agincourt. The blue saltire, from corner to corner, of the cross of Saint Andrew for Scotland and the red saltire, again from corner to corner, of Saint Patrick of Ireland. Saint David doesn’t get a look-in for Wales – has he got a flag? Wales is sometimes represented by a Welsh dragon in the middle of the flag. St. David was a 6th-century Welsh bishop. About that time legend has it that the Welsh were told to wear leeks in their helmets which led to a victory over the Saxons. So Wales has Saint David, the leek and a richly eloquent history in words and music, but usually shares the red cross on the Union Flag/Jack. Thus a snippet of flag history. With the tragic way events are going, all this may unravel. Scotland voted to stay in the EU as did London and major university cities, but already sounds come from Edinburgh that Scotland is determined to stay in the EU, and Northern Ireland may follow. 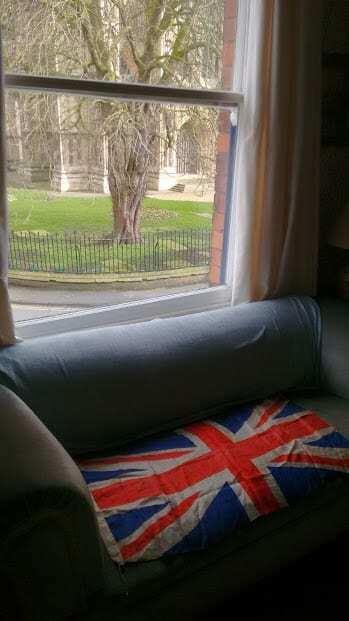 Disunion, disconnect – before the Union Flag was established there was war between these people all in my ancestry. The Hughes, Lovats, Drummonds, Barclays and Thornhills are an amalgam of all of them.